This dramatic comic-strip retelling of the Greek myths brims with victories and tragedies, great heroes and fearsome monsters. Watch in awe as the classic characters leap to life: Perseus the Gorgon-slayer, the dreaded Minotaur, ill-fated Icarus, terrible Medusa and the awe-inspiring goddess Athene! Marcia Williams magically resurrects these mythical beasts and warriors in fantastically funny, highly detailed artwork that will always stick in your mind. 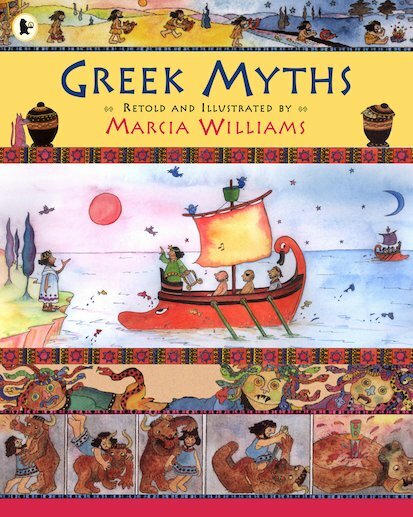 Six copies of this classic children’s book to accompany Read & Respond: Greek Myths.